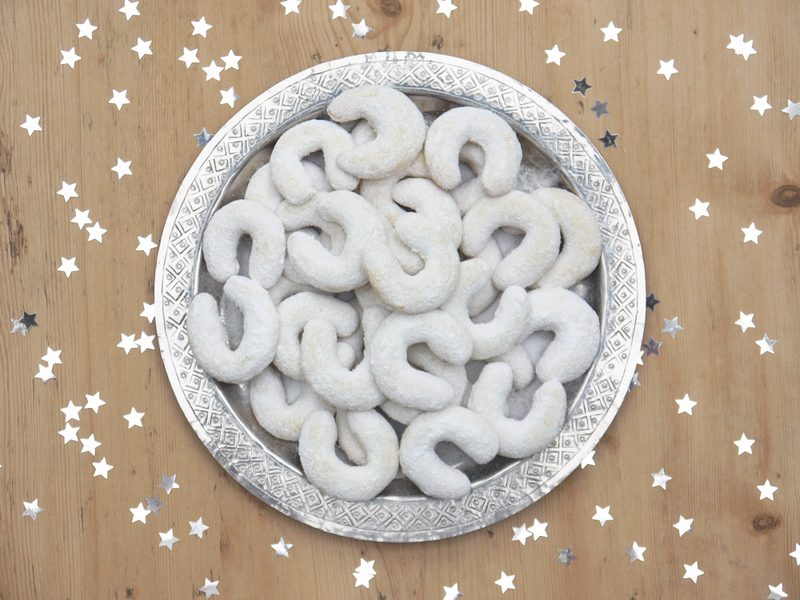 Sandkaker are a Norwegian Christmas cookie. 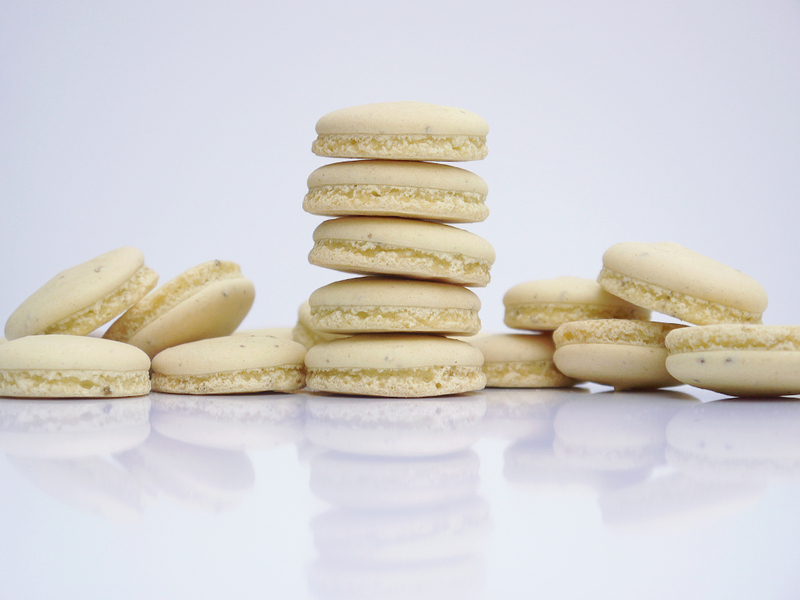 Their name means literally “sand cookies” and reflects their golden colour and crisp-yet-crumbly texture. They often form part of the Norwegian tradition of syv slags kaker (seven sorts of cookie) whereby home bakers get themselves in a frenzy of flour, butter, sugar and festive flavours to produce an impressive selection of sweet treats. There isn’t a fixed list of what comprises the magic seven, so I like to imagine Norwegians quietly judging each other’s efforts after a few glasses of warm, boozy gløgg. If you’re keen to make some other Norwegian treats, I’ve made serinakaker and sirupsnipper and mor monsens kake in the past (so that’s four down, three to go to…). So what are sandkaker? Well, they’re certainly, ahm, unusual. They are made with a buttery almond dough that is pressed into intricate tartlet moulds, and they look like…well…empty upside-down tartlets! 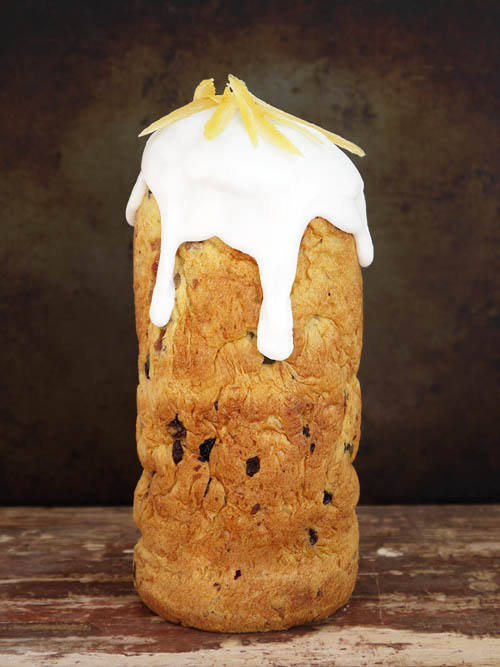 I’ve come across all sorts of weird and wonderful Christmas baking in previous years, but this one might just take the biscuit (ha – bad pun!). For I have made cookies that have to be cut out with special cutters, or pressed into shape, or shaped in intricate ways, or decorated in a particular (i.e. time-consuming) way. But cookies that look like unfilled tarts? Well, you have to admit that this really is just a little bit odd! I could wax lyrically about the beautiful shapes and delicate flavours, but it is just plain strange that you would serve guests what looks like a tray of pastries without a nice filling. 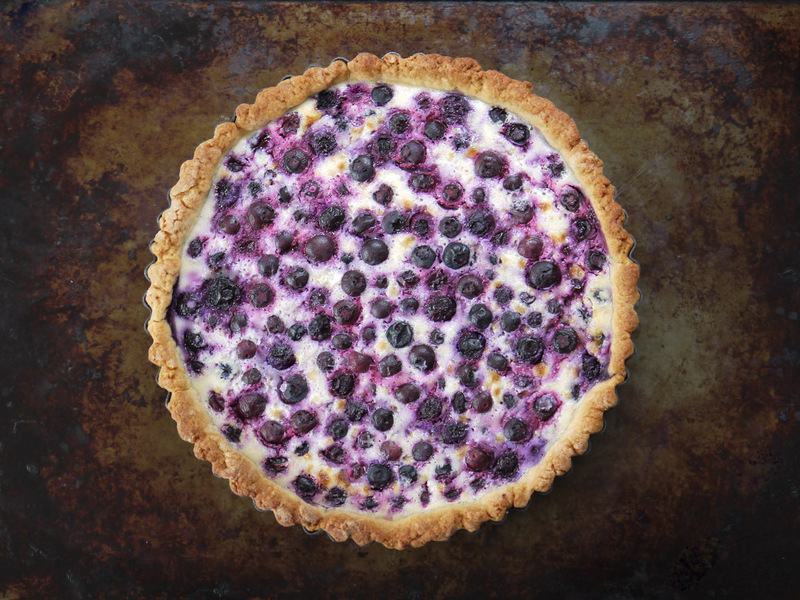 I mean…surely the filling is the whole point of a tart? And I’m not even that fussy when it comes to sweet treats – I’ll go for fruit, cream or chocolate, they will all do me just fine! 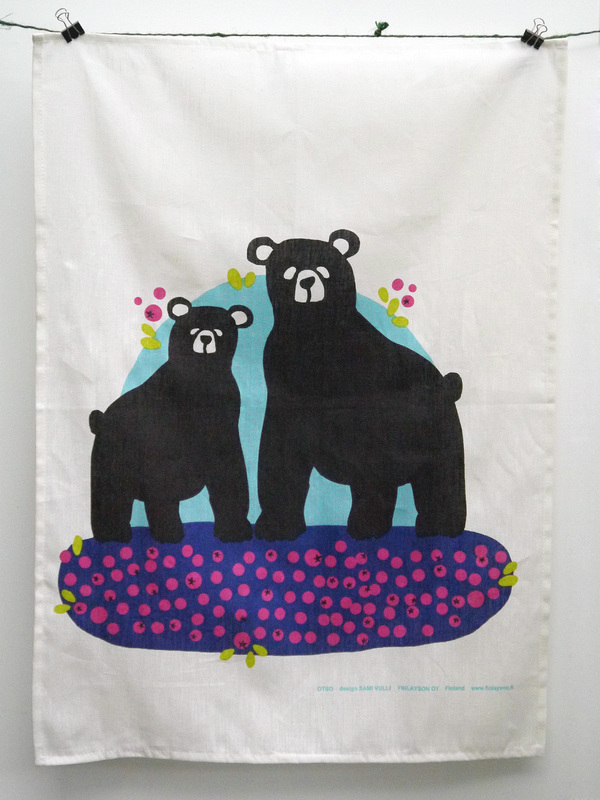 But…having said all that…sandkaker are really rather nice. What you need to get your head around is that these are not pastry shells waiting to be filled, but cookies in their own right. The dough is rich – buttery and sweet – and I’ve flavoured it with vanilla and almond extract (or you can use ground cardamom, which is also a popular flavour). The dough would make great cookies just rolled out and cut into shape, so shaping the dough by pressing it into intricate moulds is really just a way of making them look fancier than roll-and-cut cookies. And as you can see, they do look very pretty indeed on the plate! After making these, I don’t have too many insights to share as they are fairly easy to make. I did think that it might be easier to roll out the dough and lay it into the tartlet shells like pastry, but this is dough, not pastry, and it was too fragile to roll out successfully. As long as you keep the dough chilled, it is very easy to push into the moulds (which in fairness is what every other recipe suggests doing, so lesson learned there!). Try to keep the cookies thin, and prick the base with a cocktail stick – I found that the bottoms puffed up a little and stayed pale, but pricking a few holes let any steam escape, ensuring the base (or top!) would become golden. If you don’t have fluted tartlet moulds, you can still make them with a non-stick muffin tray (except you won’t have the fancy fluted finish). The real fun comes with getting the sandkaker out of their moulds. They did seem to stick a little, and I did panic at first. I tried prising them out with a knife, but it turned out for me that the easiest way to get them out was to let them cool for a few minutes after baking, then to drop them onto a wooden worktop. After a couple of drops, they would just pop out of the tin. Simple! 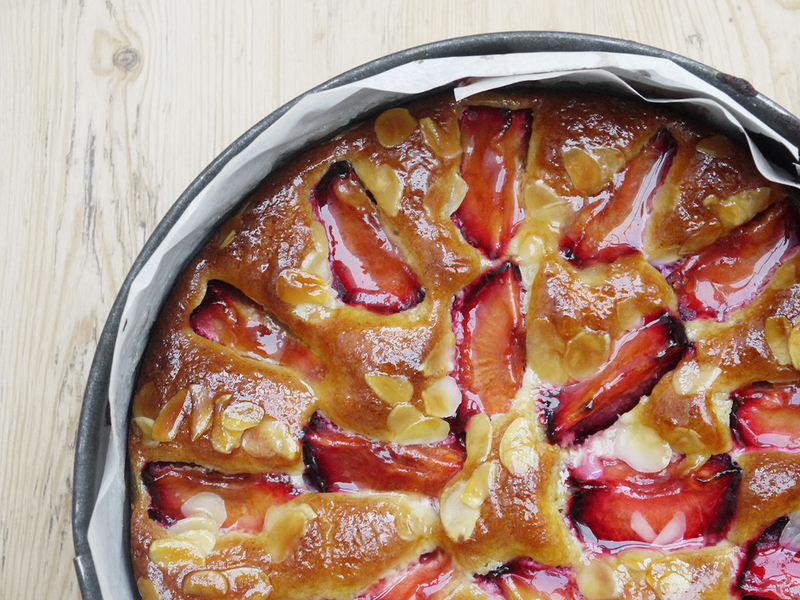 If you do make them, just be ready for your guests to ask where the filling is, and snap back (tartly – ha!) that they’re supposed to be like that. Or if you are feeling generous, use them like tartlet cases, fill with some whipped cream and add a little jam with a Scandinavian flavour like cloudberry or blueberry. 1. In a large bowl, beat the butter and sugar until light and fluffy. Add the ground almonds, almond extract, vanilla and the egg and mix well. 2. 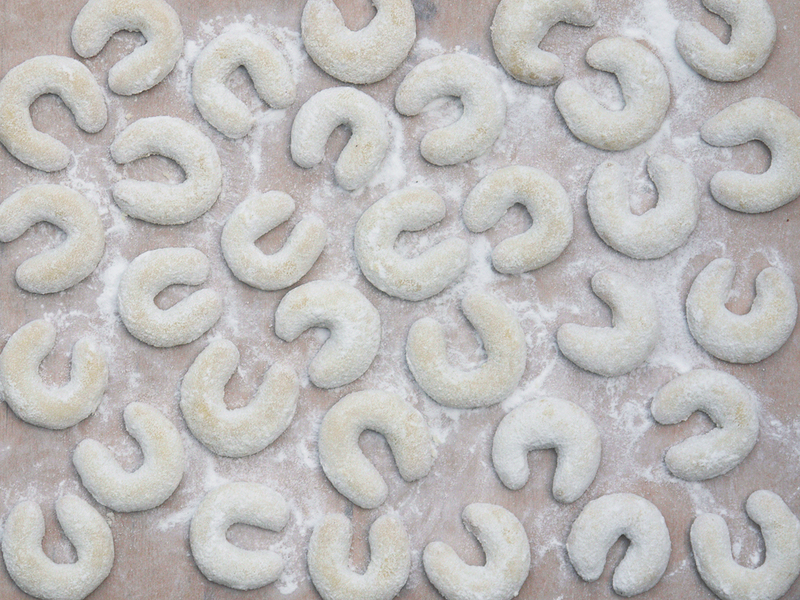 Add the flour and mix to a smooth dough – it should come together but will be fairly soft. Wrap in cling film and chill in the fridge for at least 30 minutes. 3. Preheat the oven to 190°C (375°F). 4. Very lightly butter some small fluted tartlet cases. 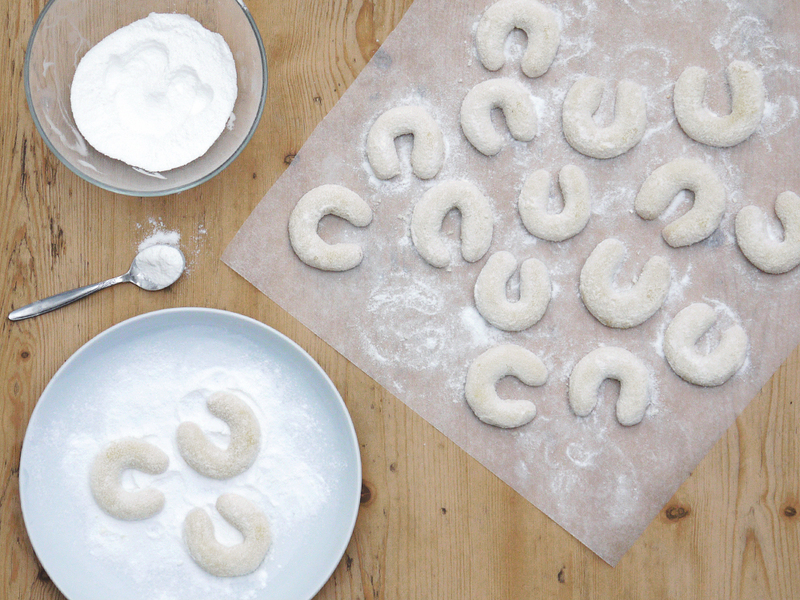 Pinch off pieces of the chilled dough, and use your fingers to press into the tins until you have an even, thin layer. Trim off any excess dough from the edges, and use a cocktail stick to prick a few small holes in the bottom. 5. 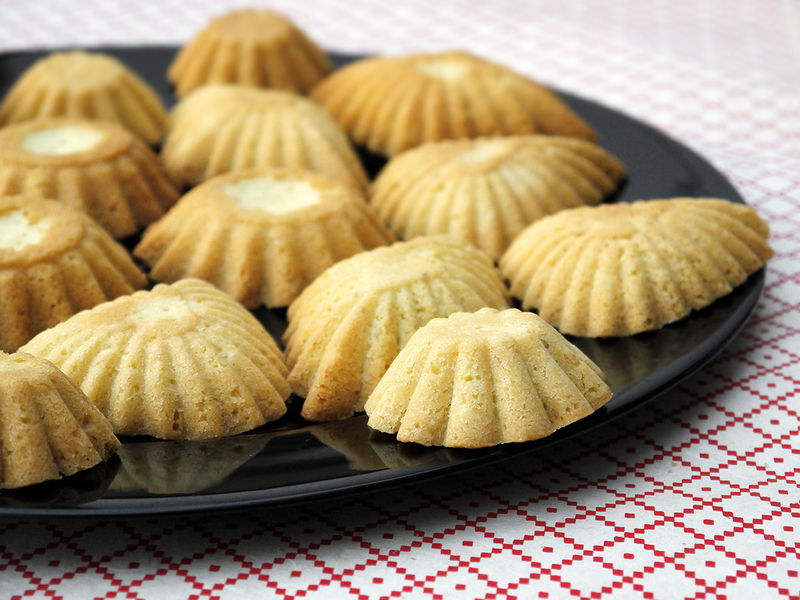 Bake in batches – put 10-15 filled tartlet cases on a baking sheet. Bake for 10-12 minutes until golden, turning half-way to ensure an even bake. Remove from the oven and leave to cool for a few minutes, then remove the sandkaker from the moulds. Leave on a wire rack to cool completely. Hello and welcome to my annual “12 Days of Christmas” festive baking extravaganza! I realise I’m a little late this year in getting started, but fret not, that just means I have been busy in the kitchen whipping up a few goodies. I’ve got a series of treats lined up which, if the past is any guide to the future, means that I will manage to do the first few posts in a calm and orderly fashion, before doing a series of posts for items eight to twelve in a panic in the final days before Christmas. Well, as I’ve said before, it is not Christmas if I’m not slightly losing it in the kitchen surrounded by nuts, marzipan, icing sugar and a range of spices. Long live tradition! If you’re curious, check out my baking from 2011, 2012 and 2013. 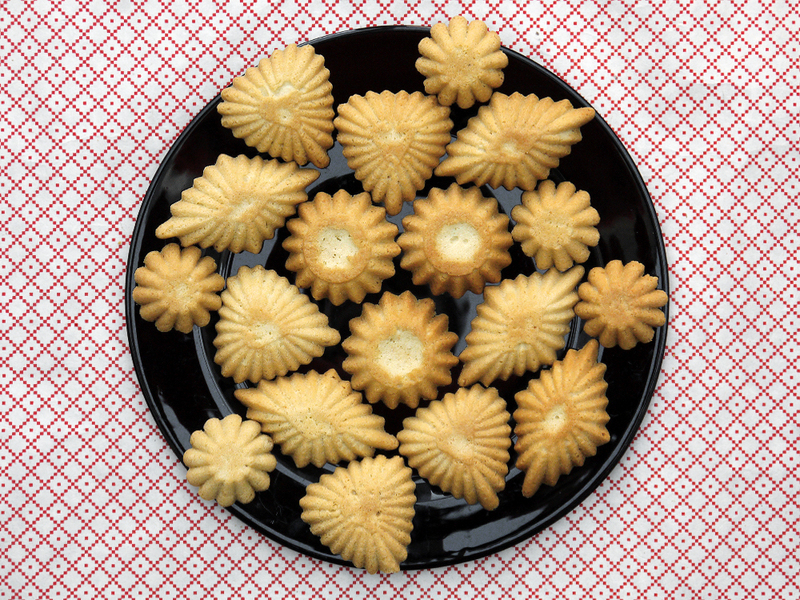 Today I’m turning my hand to vaniljekranse which are a traditional Danish biscuit. 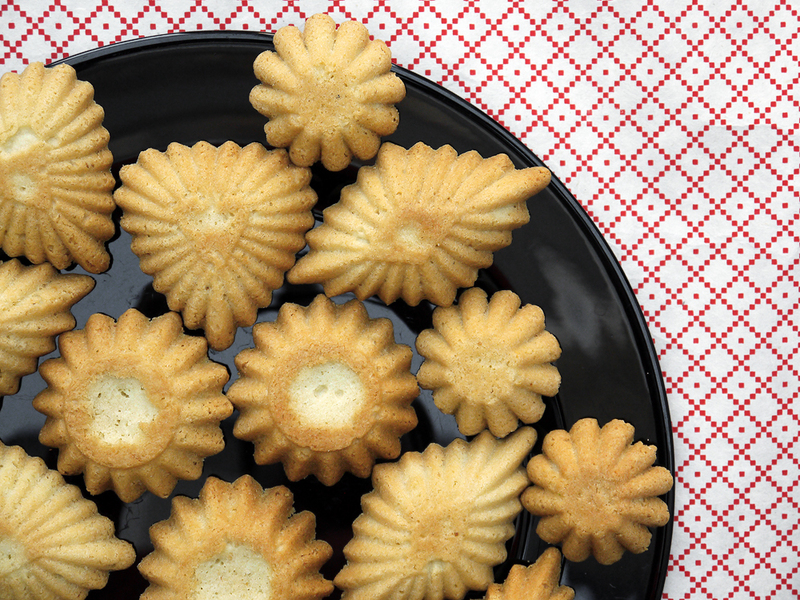 You’re probably familiar with them if you’ve ever had the chance to dive into a tin of Danish butter biscuits. Funny thing is, you used to see them all the time when I was younger, but not these days. I wonder where they’ve all gone? Perhaps I need to start going to more coffee mornings? Well, now I can make them myself. 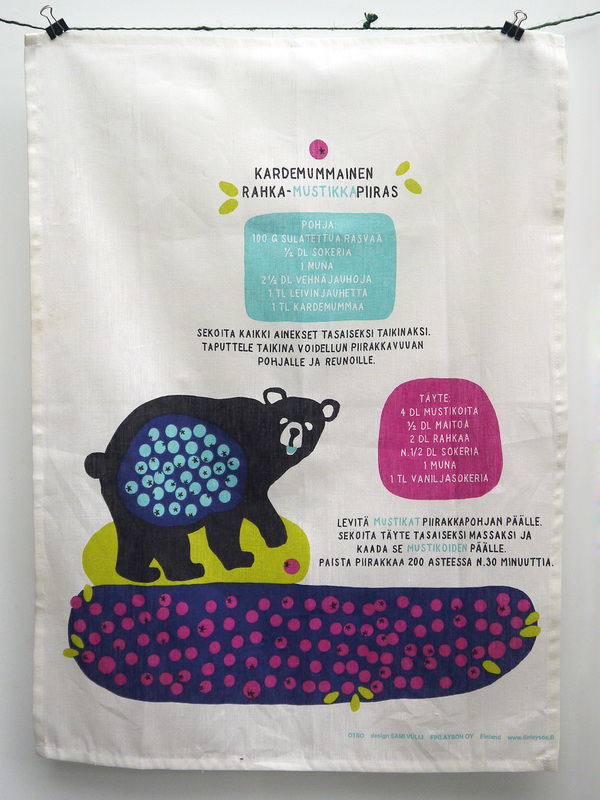 My inspiration to have a go at these came from Gitte at My Danish Kitchen. If these tasty buttery biscuits give you a hankering for more delicious delights, do head on over there are check out more Danish cooking. The fun part of making vaniljekranse is that you get to use a biscuit press or piping bag. 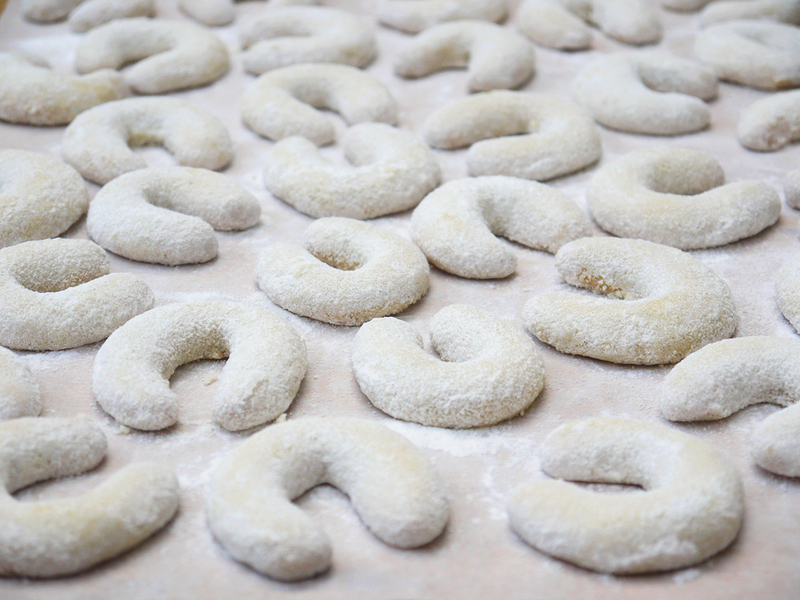 You squeeze out long strips of dough, then trim them and form them into little rings. Overall, these are actually really easy to make, but they do reward a little patience and some trial and error. 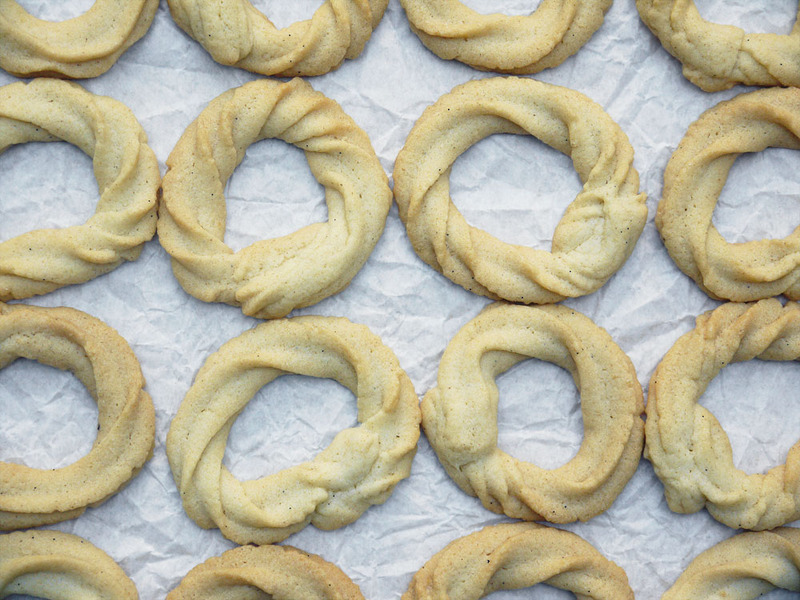 First off, there doesn’t seem to be a single standard recipe for making these (or at least not one that I found), so I recommend making your dough, then doing a test batch of a few rings. If they hold their shape, great. If they melt and go flat, add more flour and try again. You’ll probably develop a feel for how they dough should be – the dough needs to be firm, but still pliable enough to pipe out the strips – but better to lose a few test cookies than a whole batch. And when it comes to making the shapes, I found a simple ring (squeeze out the dough, cut, form into a circle) was a bit plain. 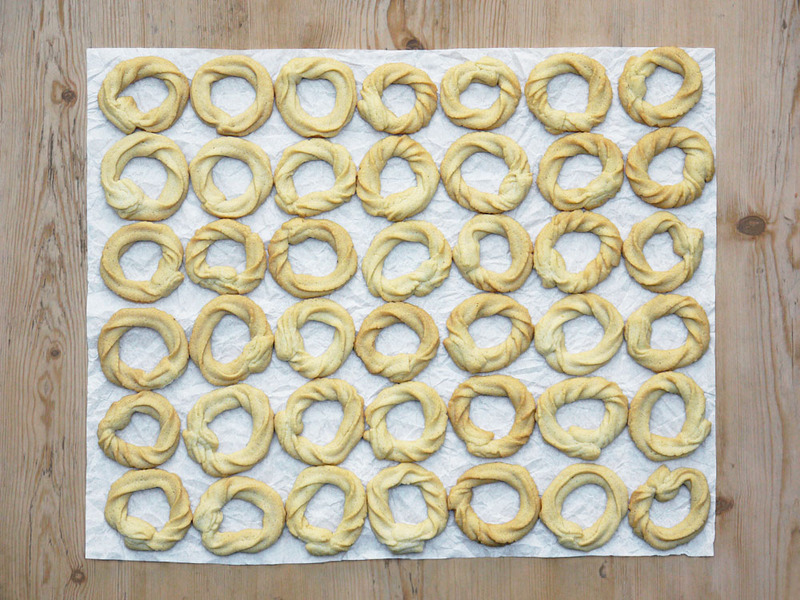 To tackle this, I twisted the strips of dough slightly before shaping them, which made for more interesting shape. 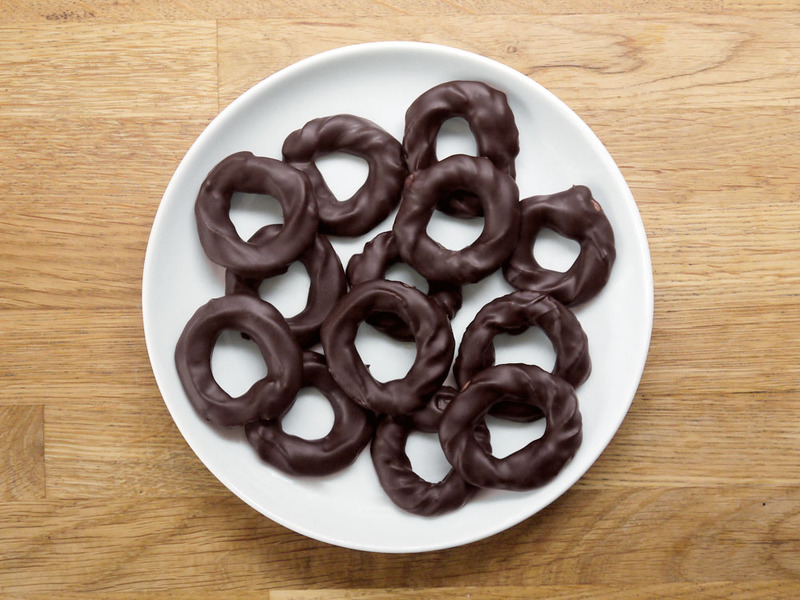 Now, these cookies are delicious as they are, but if you want to make them a little more fancy, you can also try dipping them in dark chocolate, as I did with half of my batch. If you’re going to do this, think about using salted butter in the dough or adding a couple of generous pinches of salt to balance the sweetness and the flavour of the chocolate. The only problem is stopping at just one! 1. Beat the butter and sugar until light and fluffy. Mix in the eggs, almonds and vanilla extract. Finally add the plain flour and cornflour and mix to a smooth dough. Wrap in cling film and chill for 30 minutes. 2. Preheat the oven to 175°C (350°F). Line a baking tray with greaseproof paper. 3. 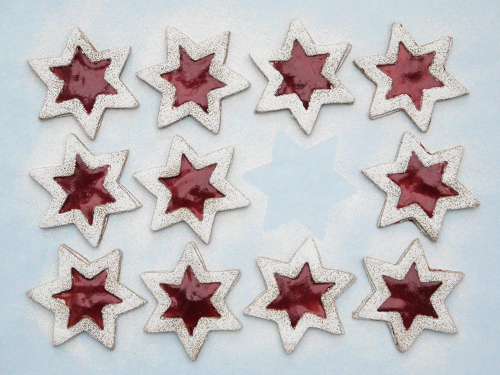 Put the dough into a cookie press or a piping bag with a star nozzle. Squeeze strips of around 12cm (4.5 inches), twist them slightly, and form into rings. Place on the baking sheet leaving some space to allow them to expand. 4. Bake for 8-10 minutes until golden. Worth making? I love these! 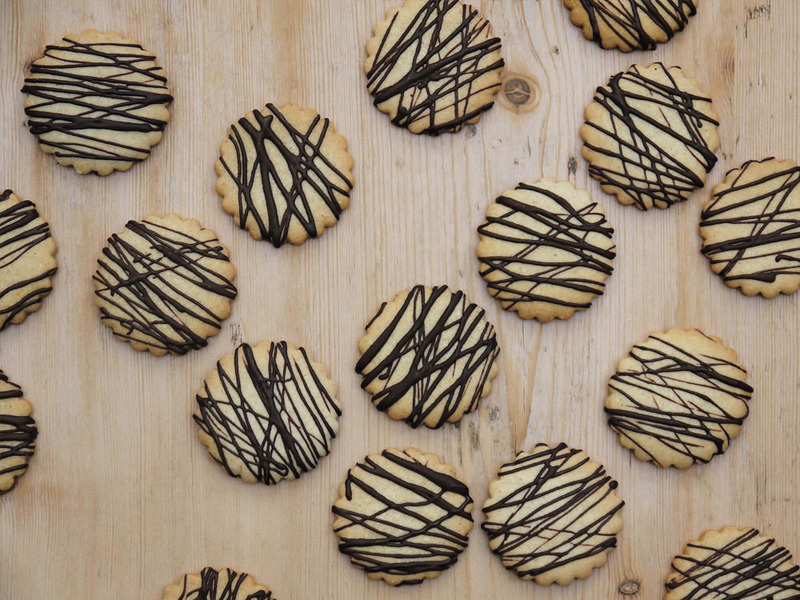 Easy to make, just be prepared for lots and lots of cookies at the end of it! 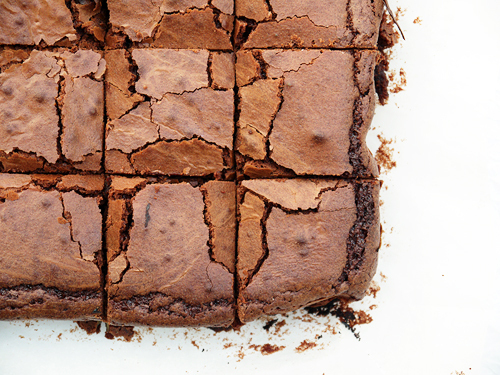 It’s the Fourth of July, and who could resist a tray of soft, squidgy chocolate brownies? Given that we’re all a little bit obsessed with the World Cup at the moment, when I first thought of posting this, I planned to give them a bit of a tropical theme, with a liberal scattering of Brazil nuts in honour of the host nation. That was Monday. At this stage, I need to ‘fess up to the fact that this recipe is more or less one from Delia Smith, but it also has the honour of being one of the recipes that I have been making the longest. I saw this on TV early on in my university days (remember that time when you saw things on TV and had to scribble them down, rather than just looking them up on Google later? Yes, this is one of those!). The only tweaks I’ve made are to use salted butter (believe me, it works), vanilla, a bit of cocoa powder and…some great big dirty spoonfuls of Nutella! Yes, my secret weapon for making brownies it to add spoonfuls of the stuff. I’ve found the way to make them even less healthy than they normally are (unless, of course, I were to try deep-frying them, but I’m sure there is a chip shop in Glasgow that’s one step ahead of me). Yes, Nutella sounds odd, but it really is amazing. I pour half the batter into the tray, then drizzle with softened Nutella (pop in the microwave to make it runny), sprinkle with nuts and pour over the rest of the mixture. 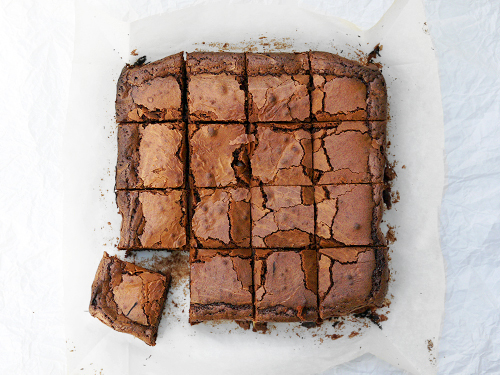 I think my original idea was that there would be a seam of chocolate spread running through the finished brownies, but in the end, it just soaks into them and makes them extra soft, sticky and delicious. I remember turning out trays of the things, and they would be wolfed down when we got in late, during film nights…you get the picture. So, are these babies healthy? Absolutely not. But are they naught and delicious? Of course! And if you’re in the mood for celebrating, it’s only right to treat yourself. 1. Preheat the oven to 180°C (355°F). Line a 25 x 25 cm (10 x 10 inch) square tray with greaseproof paper (I used one of 20 x 20, and filled a few cupcake cases to make mini-brownies). 2. Put the butter and chocolate into a bowl, and place on top of a pan of barely simmering water. Leave to melt. In the meantime, mix the flour, cocoa and baking powder in a separate bowl. 3. Stir the butter/chocolate mixture well, then fold in the sugar. Next, add the vanilla extract and the eggs. Whisk. Add the flour mixture and stir well. 4. Pour half of the brownie mixture into the tray. Sprinkle the nuts on top, then drizzle the Nutella as evenly as you can (doesn’t have the be perfect). Carefully pour the rest of the mixture on top, and smooth gently with a fork. 5. Put the tray into the oven and bake for 35 minutes. Watch out that the mixture does not burn – it will shrink back from the sides. 6. When ready, remove from the oven and leave in the try to cool. When cold, remove from the tray and cut into 25 pieces (I did 16, but remember I was using the smaller tray!). Worth making?Absolutely. Got to be grateful for Uncle Sam for inventing these things! 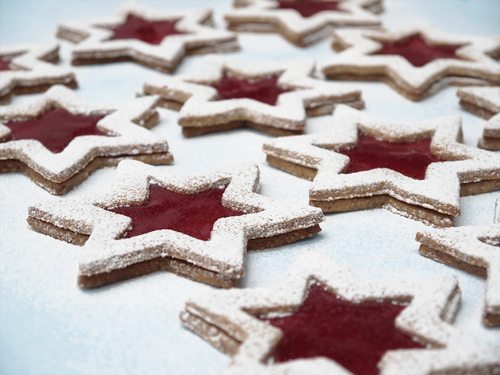 Linzer biscuits are just about the most festive thing that you can make at this time of the year. Spiced, nutty pastry filled with bright red raspberry jam, and with snow-like icing sugar. And they are shaped like stars. Sort of like screaming good cheer at the top of your voice, isn’t it? Actually, Linzers have a rather ancient pedigree. 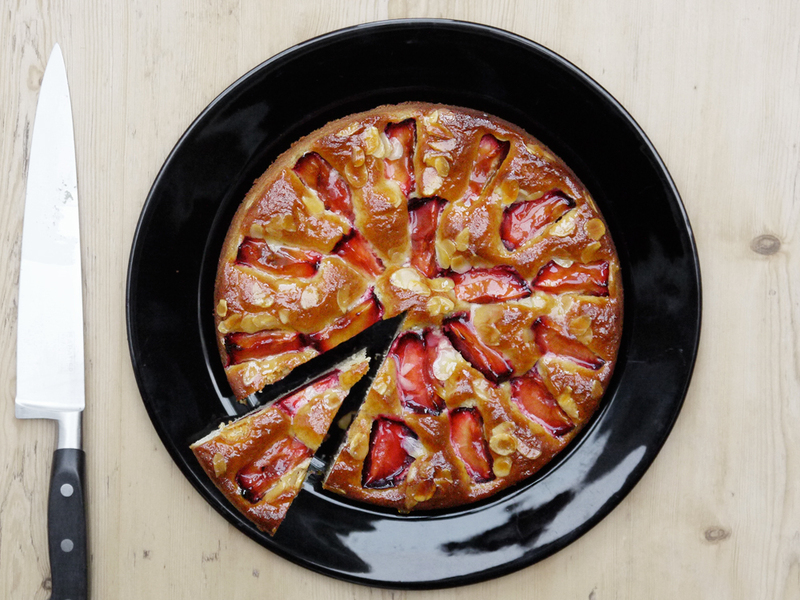 They are closely based on the famous Linzertorte from the Austrian city of Linz, which is said to be one of the oldest (or indeed, the oldest) cakes in the world, with recipes found from as far back as the 1600s. 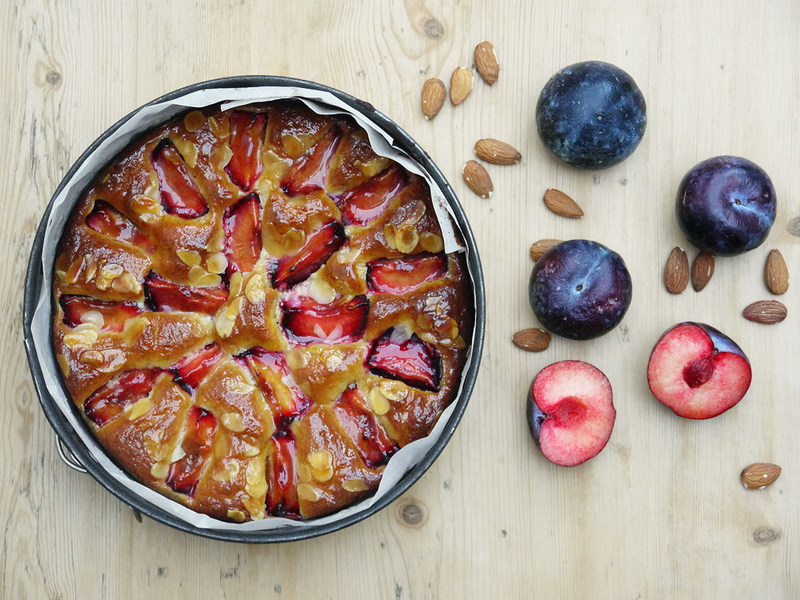 It is made from a rich, nut pastry and then filled with a dark fruity jam, often blackcurrant, and then finished with a lattice top. These biscuits are essentially a variation on that theme, but with the lattice top replaced with some nifty cookie-cutter action. I’ve gone with concentric stars, but you could quite happily cut out circles and then cut out angels, Christmas trees or simple geometric shapes. If you go for a round version with a circle inside for the jam, they become known as Linzer Augen (“Linzer Eyes”). I made these with quite a few tasty ingredients to get a really festive flavour, but not all of them quite traditional. While you can use almonds, I preferred to go with hazelnuts, as they add a great flavour to biscuit dough when baked. If you keep the skin on them before grinding, then you’ll get the typical brown flecks in the finished biscuits. I also used brown sugar to get a slight caramel flavour, and then flavoured everything with cinnamon, ground cloves, vanilla and orange zest. While it is usual to add just cinnamon and vanilla, I think the cloves and orange really do make the flavour very special. The clove flavour lingers on the tongue, while the zest perks everything up. 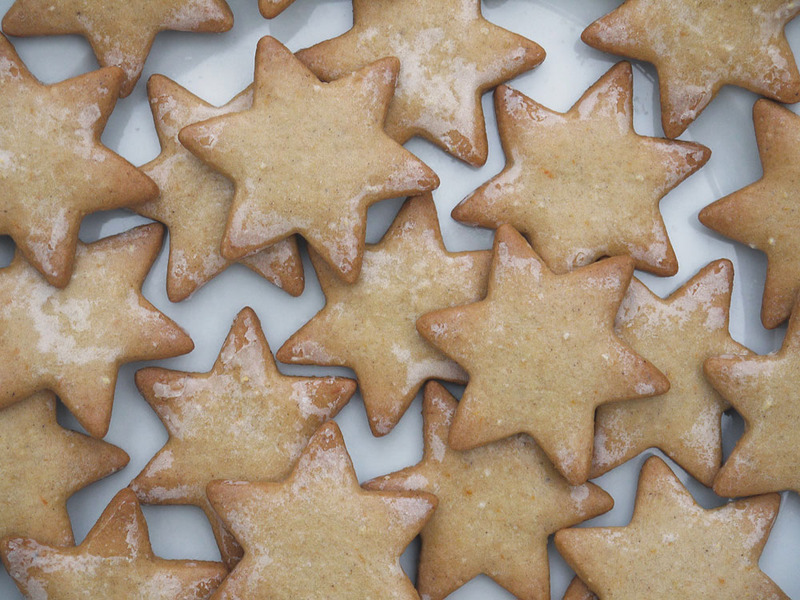 If there is something annoying about making Linzers, it is that the dough is on the soft side. This can be easily addressed by making sure it is properly chilled before getting into the rolling and cutting, so ideally you want to make the dough the night before, rather than doing it in the morning and clock-watching in anticipation of turning the oven on. You will, however, find that you are constantly taking pieces of dough from the fridge, and then returning scraps to the fridge to re-chill. However, don’t be tempted to skip this – the heat from you hands alone will soften the dough, and can turn it oily and unworkable. It is also worth doing a test bake before committing a whole tray of biscuits to the oven – if the test does not keep its shape, then pop the tray into the freezer to chill – and when you bake them, they should stay pretty much razor-sharp at the edges. If you make these biscuits, it is worth knowing that they start of as very crisp. After a day or so, they will get softer and more cake-like in texture, so keep this in mind depending on how you like you bakes to turn out when you serve them. If you want to make them ahead of time, I recommend keeping them – without the jam – in an airtight container, and then baking them again briefly when you need them to get them back to their crispy best. If you’re after a bit of variety, you can use different types of jam (like I did last year when making Swiss Spitzbuben). With the spices I used, I think plum jam (Victoria or damson) would be delicious, as would marmalade, or the traditional blackcurrant. The only think that you need to worry about is using jam that is sufficiently sharp and has a bit of a tang, to balance the sweetness of the biscuits. So here we are at the two-thirds mark in this year’s Twelve Days of Baking (or Baking Madness, if you prefer). I hope you’ve enjoyed it so far. 1. Grind the hazelnuts until fine. Mix with the flour, salt, cinnamon and cloves and set aside. 2. In a large bowl, beat the butter and sugar until light and fluffy. Add the egg, vanilla and orange zest and mix well. Fold in the dry ingredients and mix well (the dough will be very soft). Wrap the dough in cling film and leave to chill for a couple of hours, or overnight. 3. Preheat the oven to 175°C (350°F). Line a baking tray with greaseproof paper. Take chunks of the chilled dough. Work briefly to soften it, then roll out the dough to 1/4 inch and cut shapes with a star or fluted cutter. Bake half the cookies until just lightly browned at the edges (10-12 minutes depending on size). In the meantime, remove the centres from the other half of the cookies with a smaller cutter, then bake those (they will need a little less time in the oven). Repeat until all the dough has been used, remembering that for every base, you need a top cookie. 4. Once the cookies are cooled, it’s time to assemble them. Put the jam in a saucepan. Heat until runny, then pass through a sieve (or use seedless jam). 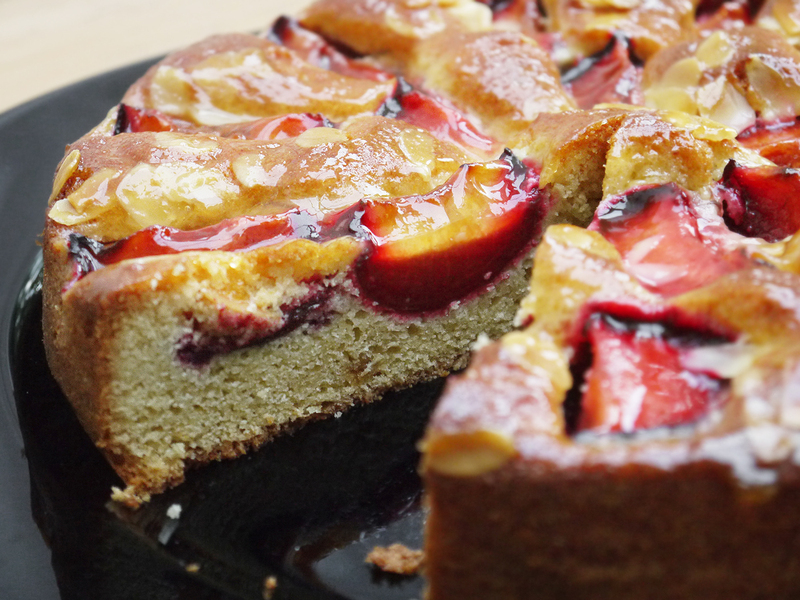 Allow to cool until thickened, then spoon a little jam onto the basis. Smooth with a spoon, then add the top layer. 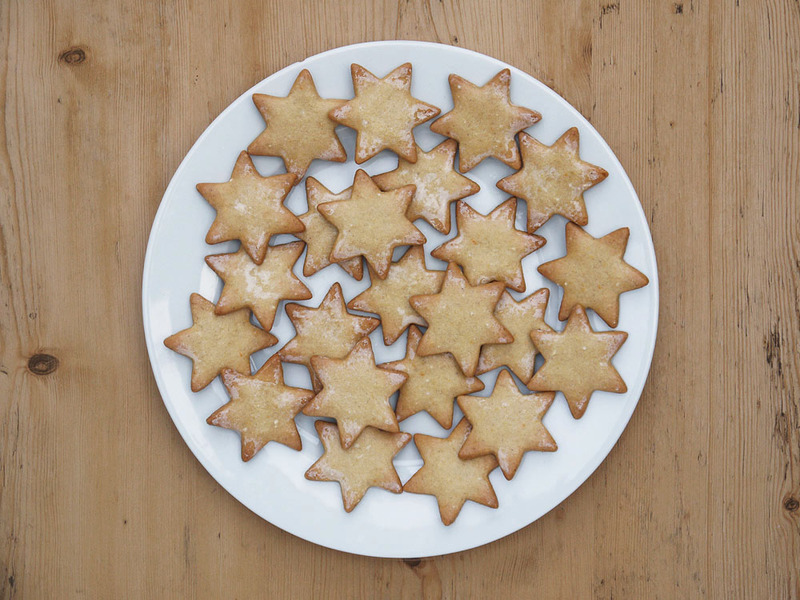 When all the cookies are done, dust lightly with icing sugar – any sugar that lands on the jam will dissolve, leaving perfect festive shapes. Worth making? Yes! These are rich, delicious, and while they take a little time, they are fairly easy to make. You also get a large batch for little effort, and they store well in case of unexpected guests.